Come and visit us during exhibitions! At the end of 2017, meet the sales team of Group SERAP during exhibitions dedicated to wine production : VITEFF and SITEVI. The opportunity to discover our French know-how and our products. See you soon on our booth! The international exhibitions for sparkling wine equipments, from 17th to 20th October 2017, at Millesium d’Epernay, in France. The opportunity for you to discover our wine-making and storage vessels. With also the VINITEC exhibition in Bordeaux, France (every other year), the SITEVI exhibition is the expertise exhibition for the vine-wine in France, from 28th to 30th November 2017, at Parc des Expositions in Montpellier, France. 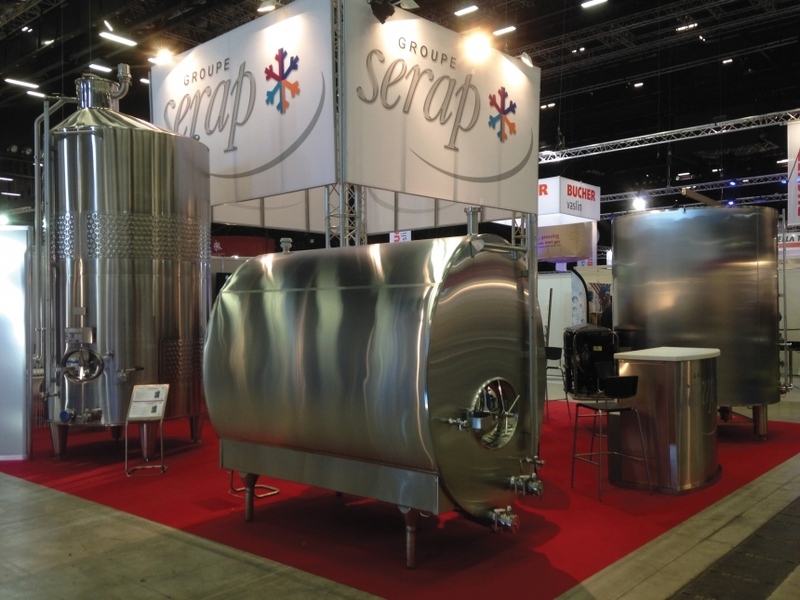 Group SERAP welcomes you to present you all of their wine equipments: Cooling tunnel for grape harvest, wine-making and storage vessels, mobile tanks, walkways, thermal treatment units and heat exchangers.